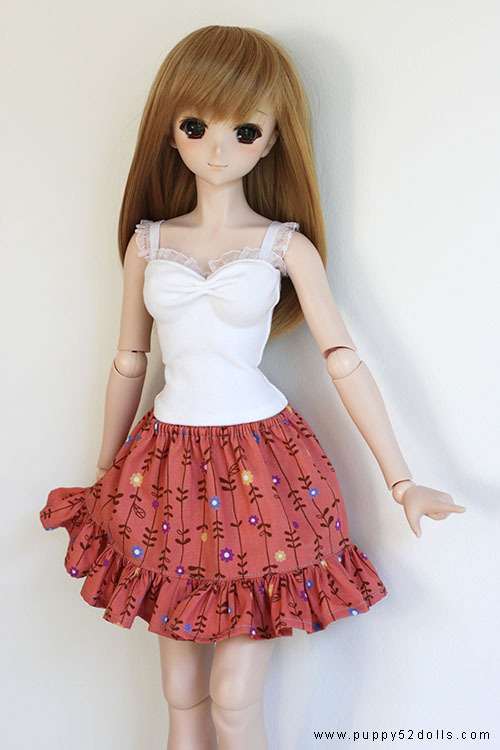 23 Nov 2011: Items paid for this week are currently shipped! 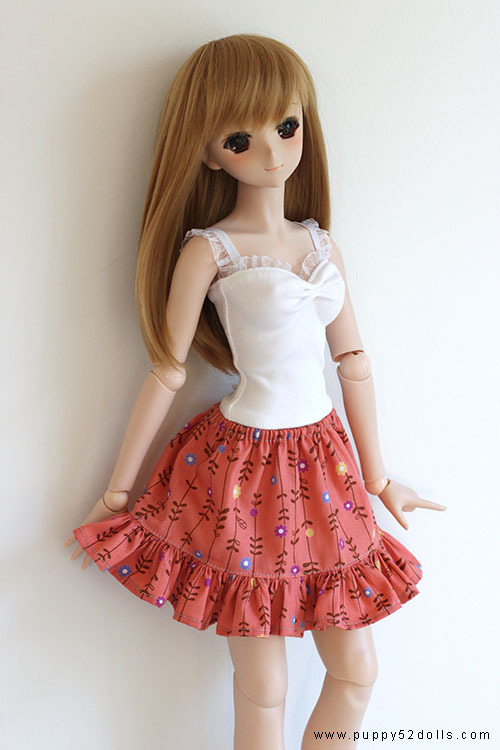 Thank you super speedy paying buyers! 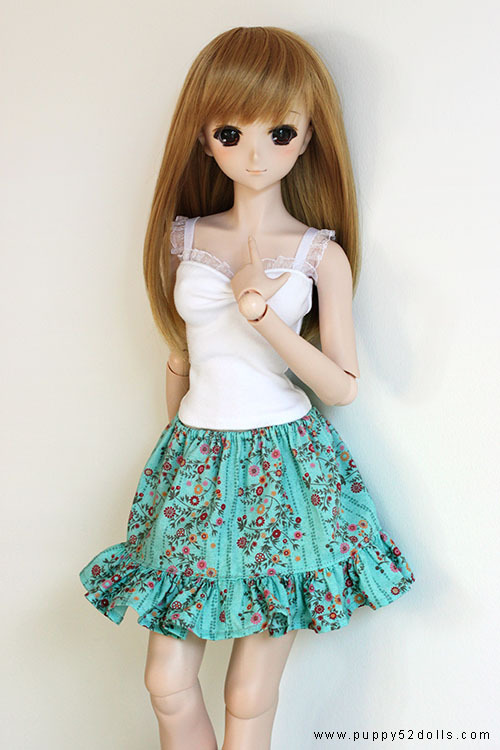 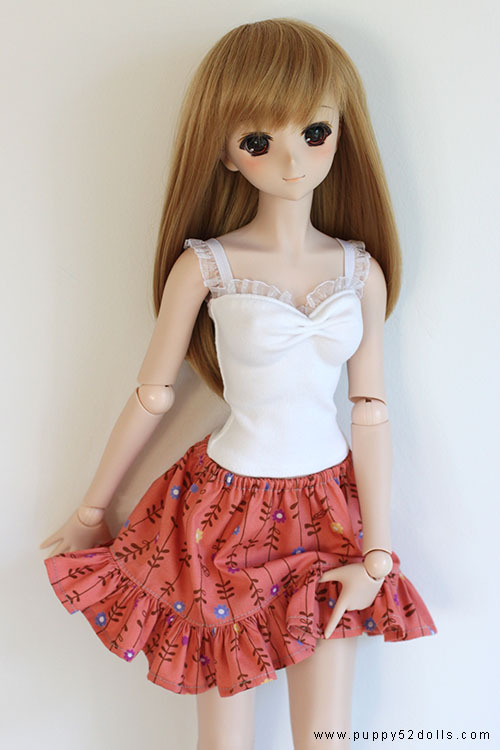 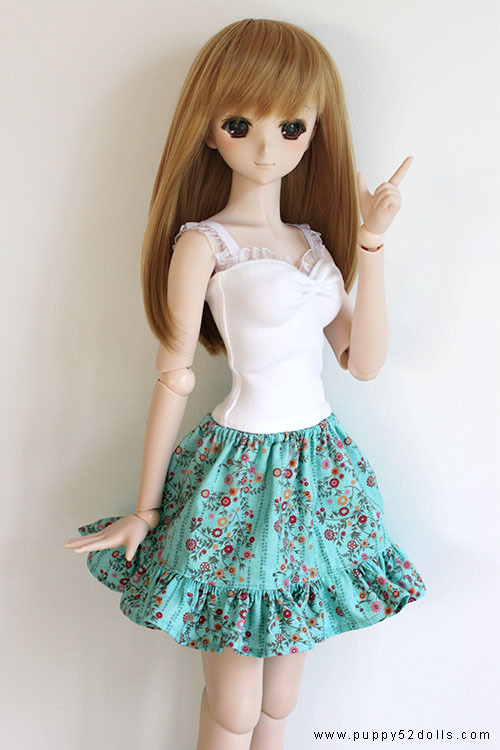 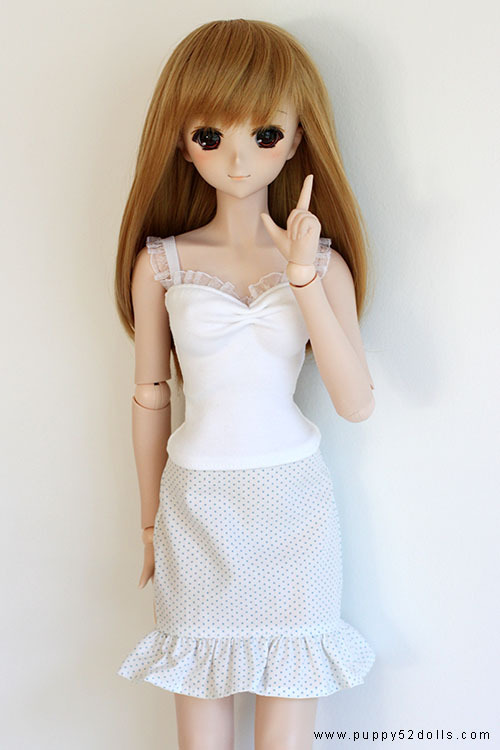 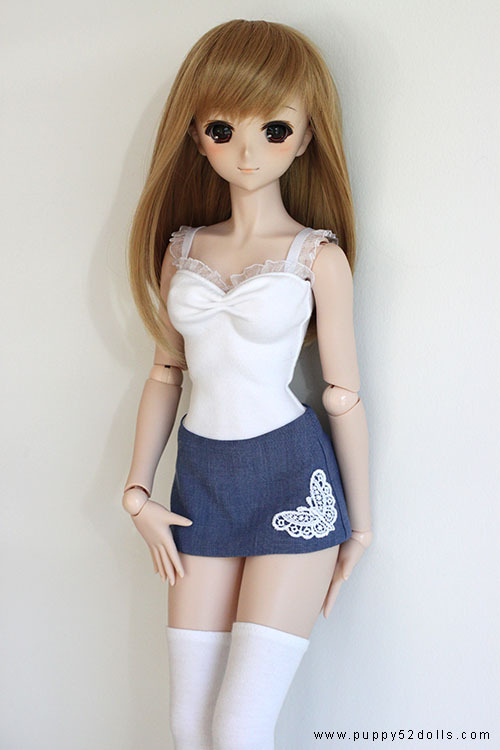 Skirt with elastic waist band fits DDdy, DDII and MDD (longer on MDD), white strapped top fits M/L and DDdy busts. 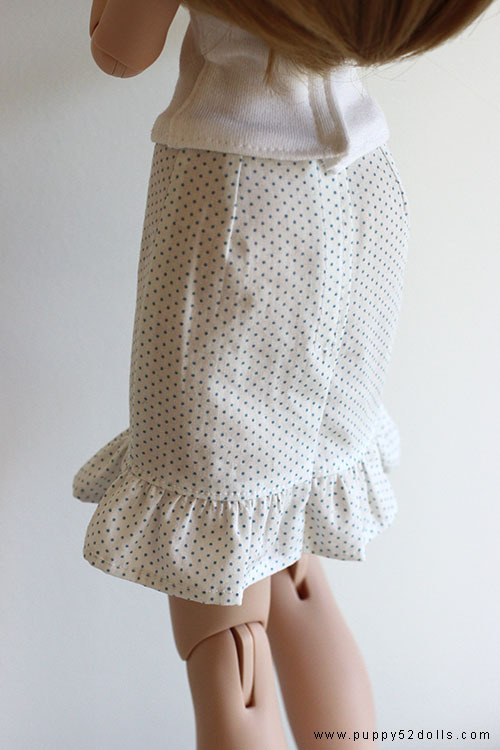 Skirt below is for DDII body only, closes at the back with doll velcro.